As a consumer, I love Amazon.com for buying books and other purchases. As an online marketer, I love using their affiliate program – called Amazon Associates – for earning passive income through commissions when others purchase products. Amazon has been a trusted online retailer just about since the dawn of the internet. They went online in the mid 90’s, mostly selling books. They’ve now become a world-leading and innovative drop-shipping site – meaning Amazon doesn’t have a massive warehouse that stores all of these products. Rather, they allow buyers to browse and buy directly from their site and then products are shipped from manufacturers or other retailers. If people were leery to allow companies to store their credit card information during the early days of the internet, that certainly isn’t the case anymore. I heard a statistic (although I can’t find proof) that Amazon has over 300 million credit card numbers on file! That number nearly accounts for every single man, woman and child in the United States. More than 300 million people trust Amazon, have made purchases in the past and will likely be making purchases in the future. It’s hard to ignore a number like 300 million. If that many people, or more, will be spending money online via Amazon – you’re darn right I want a piece of that action! It’s pretty simple to sign up for the Amazon Associates program. You do need to have a website in place and they do need to approve it first. But after that, you’re free to place links on any of your sites. Everything within the back end of the Amazon Associates site is pretty self explanatory and easy to use. They have all kinds of tools and widgets available to help you generate sales. Commission rates vary. For me, they started off at 4% and will increase to 6% as soon as I refer a certain number of items. As of the writing of this post, I need to get 5 more items out there to increase my rate to 6%. This will be easily accomplished very soon, as I like to incorporate Amazon products in addition to Google Adsense on most of my niche sites. My favorite part about the Amazon Associates affiliate program is that you earn commissions not only for the items you refer, but also for everything else that buyer purchases as long as they got to Amazon through one of your links! For example, say Donald Trump or Robert Kiyosaki stumbled upon one of my sites because I was praising and promoting one of their books (Why We Want You to be Rich). One of them clicks on the link, just out of curiosity or maybe because they wanted to see their face on the front of the book. They get to Amazon and then remember, oh yeah, I was going to buy that Rolex watch for my kids birthday! They are already on Amazon through your affiliate link to their book. There is a search bar at the top of the page, so they type in Rolex watch. 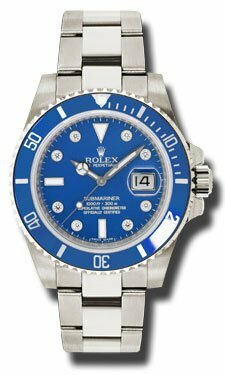 They come across this fabulous Never Worn Rolex Submariner Men’s Watch and purchase it for the low price of $31,995.00! (price good at time of this post – subject to change over time) At a 6% commission rate, I would receive $1919.70! Awesome. Hey, nobody can accuse me of not having high ambitions. The other thing I like about Amazon Associates, as opposed to Google Adsense, is that you know you are getting paid as a result of a conversion. With Adsense, you are paid just for somebody clicking on an ad. You have no idea whether that person ended up buying a product as a result. Sure, conversions are lower with Amazon compared to Adsense clicks – but it is cool to know that you are earning as a result of somebody else actually buying. Shopping for just about any product imaginable is super easy on Amazon. I mostly buy products on Amazon that are otherwise hard to find at local stores. Or if I’m just too lazy or don’t have time to go out and shop around, shopping on the computer is very convenient. I’ve had my credit card number and shipping information stored at Amazon for several years now and have never had a problem. Now when I want to purchase something it’s as easy as 1-click! I’ve learned a ton over the years by reading books. Amazon.com is the best place to shop for and purchase books. Lately, I love buying Kindle books if they are available. The search box below shows a sample of what comes up on Amazon for the search term “passive income.” Go ahead and type something else in the search box if you’re curious. Whenever I shop on Amazon, I make sure I do so through one of somebody else’s affiliate links. It doesn’t cost me a dime more and one of my blogger friends earns a small commission for my purchase. When somebody makes a purchase from Amazon after getting there through one of my affiliate links or through a search widget (like the one below), then I earn a small commission. This is a great way to create passive income, by getting as many links and widgets out there on the internet as possible. These web pages could be out there for a very long time and you just never know when somebody is going to click on one of your links and make a purchase. Amazon is perfectly content paying out these small commissions. They write it off as advertising costs. If you or I or anybody else buys from Amazon directly, without getting there through an affiliate link, then Amazon pockets ALL of the profit. Not that there is anything wrong with that, but why not help out a small internet marketer? Amazon is getting theirs – we might as well get a little too. I’ve recently started to earn some small commissions via the Amazon Associates affiliate program. I’m looking forward to constantly growing these amounts and reporting them in my monthly income reports. Update: Since writing this post way back in 2012 – Amazon Affiliate niche websites have become all the rage! Lots and lots of people create sites specifically JUST to promote Amazon products. And lots of people make a full-time living from doing so. One guy I know, Shashank, earns a healthy chunk of change from Amazon every month and he has a really good step-by-step post on his blog that explains everything. Check out his post about making lots of money from Amazon.